HRANA – Bahá’ís in Iran are being deprived of basic human and civil rights due to their religious beliefs. Discrimination, othering, vengeance, prejudgment, hate-mongering, harassment and murder, as well as imprisonment are forms of opposition to the Bahá’í Faith in Iran. Currently, several Bahá’í citizens throughout the country are serving prison sentences. The following report focuses on the Bahá’í prisoners in provinces of Tehran and Alborz, as two areas where the largest number of Bahá’í citizens are imprisoned. Based on a report by HRANA, the Human Rights Activists News Agency in Iran, at least 25 Bahá’í citizens are currently serving time in prisons in Tehran and Alborz. These individuals are enduring many deprivations including more than 160 cumulative years of imprisonment, HRANA has prepared the following complete report of the latest conditions of these citizens in the central part of the country, who are in prison solely for their personal beliefs. 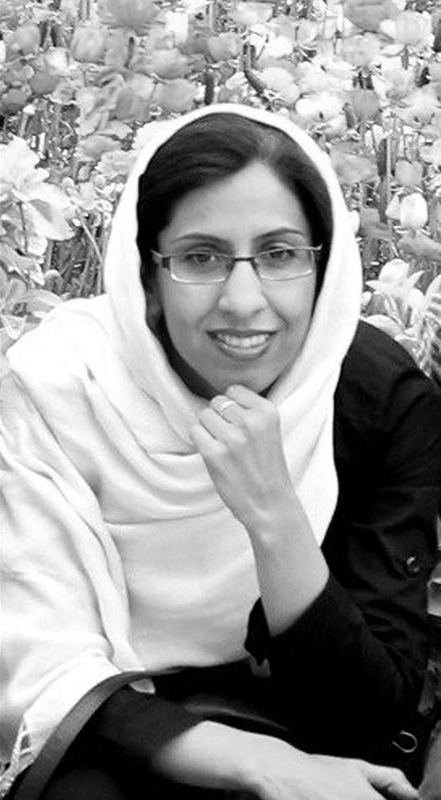 Mahvash Shahriari Sabet was arrested on 5 March 2008 in Mashhad. She was then transferred to a solitary cell in ward 209 of Evin Prison. (Six other Bahá’í members of the “Yaran”, Fariba Kamalabadi, Jamaleddin Khanjani, Afif Naeimi, Saeid Rezai, Behrouz Tavakkoli and Vahid Tizfahm, were later arrested in May 2008, on similar charges as Mrs. Sabet). During the first 20 months of her detention, Mrs. Sabet was not informed of charges against her and was not permitted to contact a lawyer. On 11 February 2009, the security court of Tehran announced the charges against Mahvash Sabet and the other six ”Yaran” as “Espionage, insulting sanctities and propaganda against the Islamic Republic Regime”. On 12 June 2010, all seven were sentenced to 20-years imprisonment, with the conviction of “espionage, insulting sanctities, propaganda against the Regime and spreading corruption on earth”. The conviction was carried out even though Mahvash Sabet together with Fariba Kamalabadi, Jamaleddin Khanjani, Afif Naeimi, Saeid Rezai, Behrouz Tavakkoli and Vahid Tizfahm refused to attend their last court session, contesting the closed and unlawful nature of the court proceedings. In December 2015, , their sentence was reduced to 10-years, citing Article 134 of the Islamic Penal Code, which states those who have been sentenced to 10 or fewer years of imprisonment are subject to conditional release after serving a third of their sentences. Fariba Kamalabadi had previously been arrested twice in 2005, prior to her arrest in 2008. Charged with “Espionage, insulting sanctities and propaganda against the Islamic Republic Regime”, she was sentenced to 20-years imprisonment in Branch 288 of Tehran Revolutionary Court. 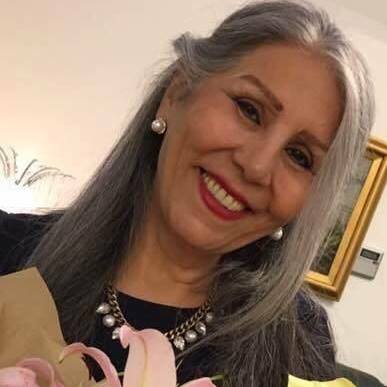 With her sentence reduced to 10-years, this Bahá’í citizen is serving her ninth year in the Women’s ward of Evin Prison. Mrs. Kamalabadi was born on 13 September 1962, Her father who was a Bahá’í physician, was arrested and tortured in the 1980s. In 1982, Fariba married Rouhollah Taefi Nasrabadi. The fruit of this union are three children, named Vargha, Alhan and Taraneh. Like other Bahá’ís after the Revolution, she was not permitted to continue her education in the country’s official universities. So, she continued her education in the unofficial, distance-learning Bahá’í University, and received an undergraduate degree in Bahá’í Studies, as well as a graduate degree in Supplementary Studies. Saeid Rezai was arrested on 14 May 2008, along with five other members of the Yaran (Fariba Kamalabadi, Jamaleddin Khanjani, Afif Naeimi, Behrouz Tavakkoli and Vahid Tizfahm) were arrested and transferred to Evin Prison. This happened following the arrest of Mahvash Sabet, in March 2008. It should be noted that, in February of 2009 the security court of Tehran announced the indictment against the seven Bahá’í citizens, who were charged with “espionage for Israel, insulting sanctities and propaganda against the Regime of Islamic Republic”. In August 2010, each of these individuals was sentenced to 20-years imprisonment (a total of 140 years for all of them) at Branch 28 of Tehran Revolutionary Court, presided by Judge Mogheiseh. After the sentencing, Mr. Rezai was transferred to Rajai-Shahr Prison, was held with regular prisoners in Ward 6 of that prison for six months, and was later transferred to hall 12 of Ward 4, which is designated to political prisoners. The prison term for Mr. Rezai was reduced to 10-years. He is now approaching his 10th year imprisonment. Behrouz Tavakkoli was born in Mashhad in 1951, and lived in Tehran. He was arrested in May 2008. Charged with “espionage for Israel, insulting sanctities and propaganda against the Regime of Islamic Republic”, Mr. Tavakkoli was sentenced to 20-years imprisonment at Branch 288 of Tehran’s Revolutionary Court. His sentence was reduced to 10-years, and he is now held in Rajai-Shahr Prison. 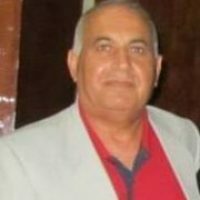 Mr. Tavakkoli has an undergraduate degree in psychology. After completing his compulsory military service (as a lieutenant), he went to graduate school and became a specialist to care for the physically and mentally disabled, and held a government job until he was dismissed because of being a Bahá’í in the early 1980s. Mr. Tavakkoli had been repeatedly detained and harassed prior to this latest arrest. Three years before his arrest, he was held in solitary confinement for four months, without any charges against him. The conditions of his confined caused him continuing severe kidney and joint problems. While at university, he was elected as a member of the Local Spiritual Assembly of Mashhad, and later served at another Local Spiritual Assembly in the city of Sari. Based on government’s orders, these consultative institutions were dissolved in the early 1980s. He was also a member of a few youth committees, and was appointed to be an Auxiliary Board member in the early 1980s. Following his dismissal from his government job, Mr. Tavakkoli opened a small carpentry shop in the city of Gonbad, to earn a living and support his family. In that same city, he also started classes for Bahá’í studies for both youth and adults. Vahid Tizfahm was born in Oroumieh in 1973, and lived in Tehran. He was arrested in May 2008. Charged with “espionage for Israel, insulting sanctities and propaganda against the Regime of Islamic Republic”, he was sentenced to 20-years imprisonment. His sentence was reduced to 10-years, and he is now held in Rajai-Shahr Prison. Mr. Tizfahm is an optometrist and owned an optometry store in the city of Tabriz, where he lived till early 2008, before moving to Tehran. He spent his childhood and youth in the city of Oroumieh. After obtaining his high school diploma as a mathematics major, he moved to Tabriz at age 18 to continue his education in optometry. Later, he also studied sociology at the Advanced Bahá’í Studies Institute, which was affiliated with the Bahá’í Institute for Higher Education (BIHE). Jamaledding Khanjani was born in Sangsar (Mehdishahr) in 1933, and lived in Tehran. He was arrested in May 2008. Charged with “espionage for Israel, insulting sanctities and propaganda against the Regime of Islamic Republic”, Mr. Khanjani was sentenced to 20-years imprisonment at Branch 288 of Tehran’s Revolutionary Court. He suffers from many ailments, owing to his advanced age. His sentence was reduced to 10 years, and he is now held in Ward 350 of Evin Prison. 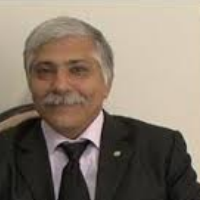 Mr. Khanjani was a former member of the National Spiritual Assembly of Iran in 1984, four members of which were executed by the Iranian government. He was also a successful factory owner, who lost his business after the 1979 Islamic Revolution, due to being a Bahá’í. Several-hundred people were employed by his brick manufacturing factory – the first fully automatic factory of its kind in Iran – prior to its forced closure. After losing his factory, Mr. Khanjani established a farm in his family-owned property, which was equipped with agricultural machinery. However, the government officials created numerous limitations for him, and made it very difficult to run the farm. These limitations extended to Mr. Khanjani’s children and relatives, as well. For example, they were prevented from securing loans, their business premises were closed, their business interactions were limited, and they were prevented from traveling to other countries. 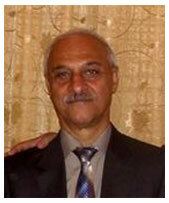 Mr. Khanjani had been arrested and imprisoned at least three times prior to his 2008 arrest. Afif Naeimi was arrested in May 2008. Charged with “espionage for Israel, insulting sanctities and propaganda against the Regime of Islamic Republic”, he was sentenced to 20-years imprisonment. Mr. Naeimi suffers from several ailments, including problems with blood coagulation, periodic fainting spells, severe lymphatic nodes disease, and acute throat inflammation. His sentence was reduced to 10-years, and he is now held in Rajai-Shahr Prison. Adel Naeimi was born in Tehran in 1952, and his wife, Elham Farahani (Naeimi) was among those arrested on 11 July 2012. The agents searched their home for many hours, and confiscated a lot of their personal belongings, photographs and Bahá’í-related CDs. On 12 July of that same year, their son Shamim Naeimi was also summoned to the Shahid Moghaddas Court, located at Evin Prison, and was arrested upon arrival. After one month, Elham and Shamim were released on bail until the time of their trials. However, the father of this family continued to be held in solitary confinement for another three month, after which he was transferred to the public ward and moved to Rajai-Shahr Prison after a while. 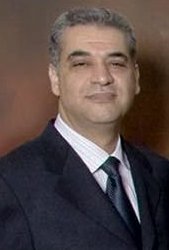 On 24 April 2013, Adel Naeimi’s court hearing was held concurrently with the court hearings of the seven Bahá’í citizens from Gorgan and Gonbad-Kavous, who had been transferred to Rajai-Shahr Prison. In addition, while there was no connection between the Bahá’í prisoners from Gorgan and Adel Naeimi, Branch 28 of Tehran Revolutionary Court presided by Judge Mogheiseh addressed the cases of all these individuals in one session. Charges against these eight Bahá’í citizens were: “propaganda against the Regime, formation and management of the illegal Bahá’í organization and membership in the illegal Bahá’í organization”. Elham Farahani was arrested on 11 July 2012, together with her husband, Adel Naeimi. Less than 10-days later, their son Shamim Naeimi was also arrested. For two months, she was held in solitary confinement in Ward 209 of Evin Prison. Having posted a 100-million Tuman bail, she was later released together with her son, temporarily. Mrs. Farahani was sentenced to four years imprisonment, attending a “five-minute” court session with her husband and son, held at Branch 28 of Tehran Revolutionary Court, presided by Judge Mogheiseh. Adel Naeimi was sentenced to 10-years and their son, Shamim was sentenced to 3-years imprisonment. She is currently held at Jam Hospital in Tehran for elbow surgery. The men of this family are held at Rajai-Shahr Prison in Karaj. Nasim Bagheri – On 21 May 2011, security agents raided her home, and confiscated her electronic communication devices without arresting her. The following day, Mrs. Bagheri was summoned to the follow-up office of the Ministry of Intelligence. In February of 2013 she was summoned to Shahid Moghaddas Court of Evin Prison, then temporarily released, with a 50-million Tuman bail. On 8 October 2013, Judge Mogheiseh sentenced her to four-years imprisonment at Branch 26 of Tehran’s Revolutionary Court. She was taken into custody on 27 April 2014, and transferred to the Women’s Ward of Evin Prison. Ms. Bagheri suffers from Thyroid disease, and has been denied sick leave despite her condition. Azita Rafizadeh – On 22 May 2011, security agents raided her family home, confiscating a number of electronic communication devices. She and her husband were not arrested at that time. Later, Mrs. Rafizadeh was summoned to the follow-up office of the Intelligence Ministry, and granted a writ of non-prosecution in September of 2011. However, her case was re-opened in February of 2011. Mrs. Rafizadeh was later summoned to the Shahid Moghaddas Court of Evin Prison, she was temporarily released on a 50-million Tuman bail. In June 2014, Judge Mogheiseh sentenced this Mrs. Rafizadeh to four-years imprisonment at Branch 28 of Tehran’s Revolutionary Court. 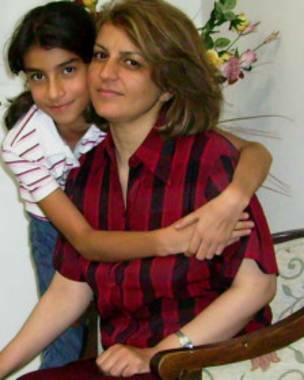 Mrs. Rafizadeh reported to Evin Prison on 25 October 2015, to start serving her sentence. 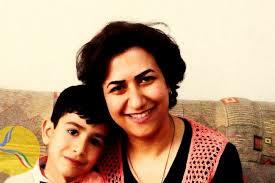 Her husband, Payman Koushkbaghi is serving a five-year sentence at Rajai-Shahr Prison in Karaj. This couple has a six-year old son. Payman Koushkbaghi and his wife, Azita Rafi Zadeh were arrested in May 2011, charged with “collaboration with the virtual Bahá’í University of Iran, known as the Bahá’í Institute for Higher Education (BIHE)”. 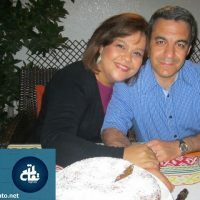 After obtaining undergraduate degrees in Computer Engineering, this Bahá’í couple who had been educated at the same university, started teaching the Bahá’í students deprived of education, online. Mrs. Zadeh, , was sentenced to four-years imprisonment for teaching young Bahá’í youth while one of the instructors at BIHE. She is serving her sentence at Evin Prison, and her husband, Payman Koushkbaghi was sentenced to five-years imprisonment. On 28 February 2016, when Payman Koushkbaghi together with his son Bashir, had gone to Evin Prison to visit his wife “Azita Rafi Zadeh”, Mr. Koushkbaghi was arrested by three plain-clothed individuals before entering the visiting hall. After being held in solitary confinement for nearly one month, he was transferred to Ward eight of Evin Prison. 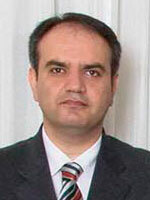 Farhad Eghbali was born in 1958 in Bandar-Gaz, and lived in Gorgan. On 18 November 2012, he was arrested together with four other Bahá’í citizens. He was released on bail on the same day, owing to his severe health condition. He was charged with “propaganda against the Regime, collaboration with enemy governments and membership in the clandestine Bahá’í Organization”, and sentenced to five-years imprisonment by Judge Mogheiseh at Branch 28 of Tehran’s Revolutionary Court. 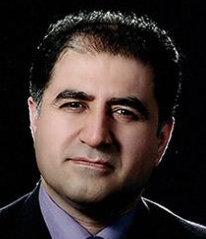 After a two-year delay, and against the recommendation of cardiologists, on 27 August 2014, Mr. Eghbali began serving his sentence at Rajai-Shahr Prison in Karaj, after receiving a summons. 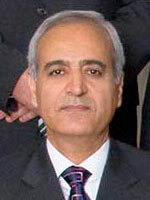 Kamal Kashani was born in Gonbad-Kavous in 1958, and lived in Gorgan. He was arrested in Gorgan on 17 October 2012, and transferred to Tehran where he was sentenced to five-years imprisonment by Judge Mogheiseh at Branch 28 of Tehran’s Revolutionary Court, on charges of “propaganda against the Regime, collaboration with enemy governments and membership in the clandestine Bahá’í Organization”. Mr. Kashani was expelled from university in the early 1980s, one semester short of completing his education in automobile industries field. He was imprisoned for five-years and three-months between 1983 and 1988, owing to his membership in the Local Spiritual Assembly of Bandar-Torkman. During the same years, his older brother named “Jamal Kashani”, a member of the Local Spiritual Assembly of Dehghan-Vila in Karaj was arrested and executed in December of 1984 at Evin Prison. Farhad Fahandej was born in 1959 in Torbat Haydarieh, and lived in Gorgan. 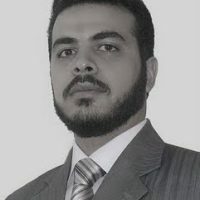 He was arrested at his home on 17 October 2012, and after 7-months of uncertainty was sentenced to 10-years imprisonment by Judge Mogheiseh at Branch 28 of Tehran’s Revolutionary Court. Charges against him were “teaching the Bahá’í Faith and managing the Bahá’í administration”. It should be noted, that this Bahá’í citizen had also been arrested and sentenced to 6-years imprisonment in 1983 (at age 24). He suffers from digestive disease, owing to unfavorable conditions of his prior prison sentence. Foad Fahandej (the younger brother of Farhad Fahandej) was born in 1963 in Torbat Haydarieh, and lived in Gorgan. He was arrested on 17 October 2012 and sentenced to five-years imprisonment by Judge Mogheiseh at Branch 28 of Tehran’s Revolutionary Court. He was charged with “propaganda against the Regime, collaboration with enemy governments and membership in the clandestine Bahá’í Organization”. Mr. Fahandej has related that for merely for answering yes to the question, “do you pray at home with your family?” Judge Mogheiseh told him: “this alone is enough to sentence you”. It should be mentioned that, despite all efforts, Mr. Fahandej’s request for a vacation to attend his daughter’s wedding was denied. Kourosh Ziari was born in 1964 in Sangsar, and lived in Gonbad-Kavous. 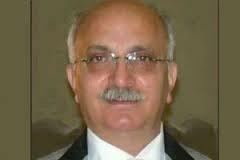 He was arrested on 18 November 2012 in the city of Gorgan while returning home. He was sentenced to five-years imprisonment by Judge Mogheiseh at Branch 28 of Tehran’s Revolutionary Court, charged with “propaganda against the Regime, collaboration with enemy governments and membership in the clandestine Bahá’í Organization”. Approximately two months before his arrest, this Mr. Ziari was injured in an accident, and broken his leg. When he was arrested, his cast had been recently removed and he was still going through physical therapy. Unable to continue his therapy while in prison, he experienced continuing difficulty and pain in his leg and back areas. Following repeated requests, he was finally transferred to the hospital on several occasions, but the delay in receiving appropriate care has hindered his recovery. Payam Markazi was born in 1957 in Tehran, and lived in Gorgan. He was arrested on 18 November 2012. Charged with “propaganda against the Regime, collaboration with enemy governments and membership in the clandestine Bahá’í Organization”, Mr. Markazi was sentenced to five-years imprisonment by Judge Mogheiseh at Branch 28 of Tehran’s Revolutionary Court. Judicial authorities refused his requests for vacation for his daughter’s wedding, as well as his mother’s illness. The father of Mr. Markazi, Amir Houshang (Shapour) Markazi was executed in October of 1984 at Evin Prison. His mother, Parichehr Azadeh, was also imprisoned at Evin Prison for five years, during that time. Siamak Sadri was born in 1973 in Yazd, and lived in Gorgan. He was arrested on 17 October 2012 and sentenced to five-years imprisonment by Judge Mogheiseh at Branch 28 of Tehran’s Revolutionary Court. He was charged with “propaganda against the Regime, collaboration with enemy governments and membership in the clandestine Bahá’í Organization”. Farahmand Sanai was born in Gorgan in 1966. On 17 October 2012, he was arrested at his home, together with his wife. Charged with “propaganda against the Regime, collaboration with enemy governments and membership in the clandestine Bahá’í Organization”, Mr. Sanai was sentenced to five-years imprisonment by Judge Mogheiseh at Branch 28 of Tehran’s Revolutionary Court. His wife was eventually released on bail. Shahab Dehghani was arrested in Tehran on 10 July 2012, as part of a widespread action by security forces against the Bahá’ís. Nearly 20 Bahá’í citizens were arrested in the cities of Tehran, Mashhad and Shiraz, because of this effort. 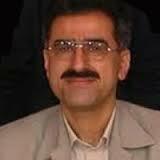 Mr. Dehghani was sentenced to four-years imprisonment. He reported to Evin Prison on 24 May 2014, and was transferred to Rajai-Shahr Prison in Karaj one day later. 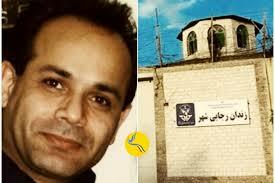 Mr. Dehghani is currently serving his four-year sentence in Hall 12 of Rajai-Shahr. 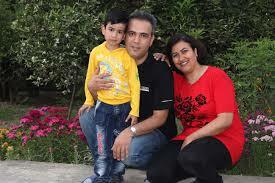 It should be noted, that Mr. Dehghani’s wife, Shomays Mohajer, was sentenced to one year in prison on similar charges. Vahed Kholousi a human rights activist, having received a written summons, reported to Branch 3 of Evin Court on 17 August 2011, where he was arrested. Mr. Kholousi was held at Ward 2-A of the Revolutionary Guards in Evin Prison for 21-days, and was later transferred to Rajai-Shahr Prison. He was charged with assembly and conspiracy with the intention of committing a crime against national security, membership and activity in the Bahá’í Community and its widespread propagation, membership and activity in education rights, as well as human rights organizations, and propaganda against the Islamic Republic. Mr. Kholousi was sentenced to 5-years imprisonment at Branch 28 of the Revolutionary Court presided by Judge Mogheiseh in June 2011. This sentence was upheld in its entirety by the Court of Appeals. Afshin Seyyed Ahmad was arrested in 2012, and was interrogated for forty days while held solitary confinement in ward 209 of Evin Prison. Following that, he was temporarily released by posting a bail. Charged with “propaganda against the Regime, assembly and conspiracy”, Mr. Seyyed Ahmad was sentenced to three years in prison at Branch 28 of the Revolutionary Court by Judge Mogheiseh. This sentence was upheld in its entirety, at the Court of Appeals. Kayvan Rahimian was sentenced to five-years imprisonment and payment of 97-million Rial cash penalty. If no problems arise, he will be released from prison in August 2017. It should be mentioned that, Mr. Rahimian’s brother, Kamran Rahimian was also arrested and charged while teaching at the Bahá’í virtual university, and sentenced to four years in prison. He completed his prison term, and was released in late July of 2016. Also, Mr. Rahimian’s sister-in-law, Faran Hesami had also been sentenced to four-years imprisonment with similar charges. 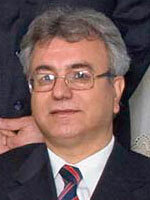 Navid Khanjani was formerly in charge of the Education Rights Committee of the Human Rights Activists in Iran, a member of the Committee of Human Rights Reporters, as well as the founder of the Population Combatting Educational Discrimination. 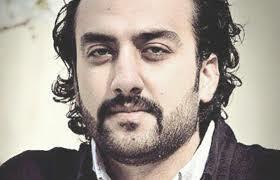 He was arrested by security forces in February of 2010, and was imprisoned for nearly two months. He was later sentenced to 12-years imprisonment and payment of four-hundred thousand Tuman cash penalty at Branch 26 of the Revolutionary Court, presided by Judge Pir-Abbas. This sentence was upheld in its entirety by the Court of Appeals. Due to Article 134 and the law of “aggregation of sentences”, the 12-year sentence of was reduced to five years.